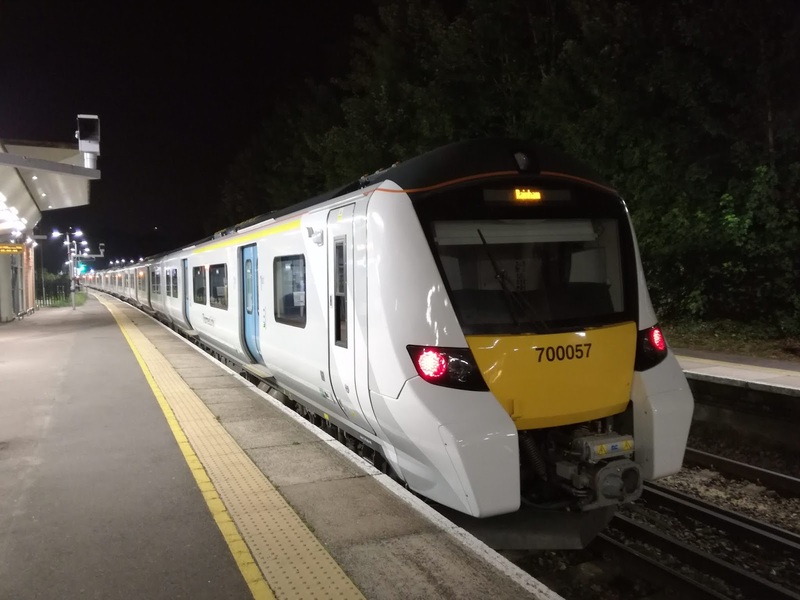 A couple of weeks ago the first of Greater Anglia's new fleet arrived at Norwich for testing. Unfortunately I was restricted to sick bay and couldn't get out to see it. 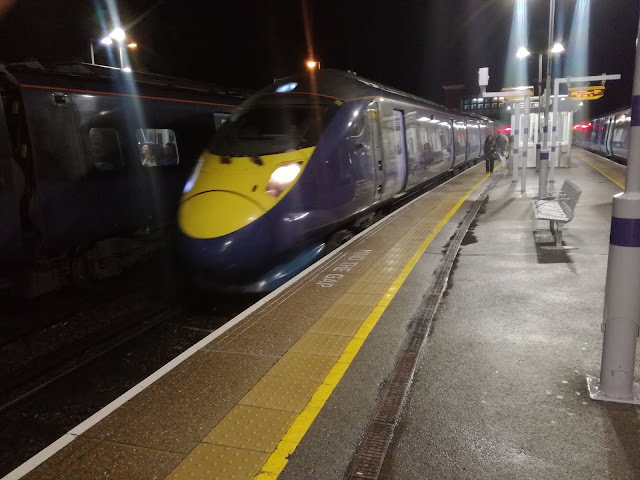 However, today the second Stadler Flirt was delivered, and I was at Diss to see it glide through, hauled by 66001. A damp and murky morning didn't make photographing a 70mph moving object easy, especially as it's the first time with a new phone, but I hope the sound makes up for that - more like a tram than a train. I would also like to thank those of you who have made contributions to the debate on bus passes. I'm a little concerned that many of you seem to want to restrict use of them even further, as surely that defeats the whole purpose of the exercise. We should be finding new ways to bring money into the bus industry, not disencourage people from using them as much. To o many times in this country now we find reasons not to do something, or to object to something, rather than finding reasons why we should do something. But keep the debate going as it's been one of the best so far. Saturday sees the annual Ensignbus Running Day, when the heritage fleet comes out to play. Tim and I are both going, so look out for reports early next week. Bus Passes - Good or Bad? I was approached by the Association of British Commuters last week, asking if I had ever made a post on Concessionary Bus Passes. I knew I'd mentioned them many times, but a quick search suggested I had never made a dedicated post on them. So here goes, and I think I could possibly break my own fairly impressive record of upsetting more people with one post than ever before! For those who don't know I have a Bus Pass due to my eye condition, which is variable, particularly affecting me at night, in unfamiliar territory. So I speak as a pass holder, not a jealous bystander or someone who has never had to rely solely on public transport in the past. First some background history. 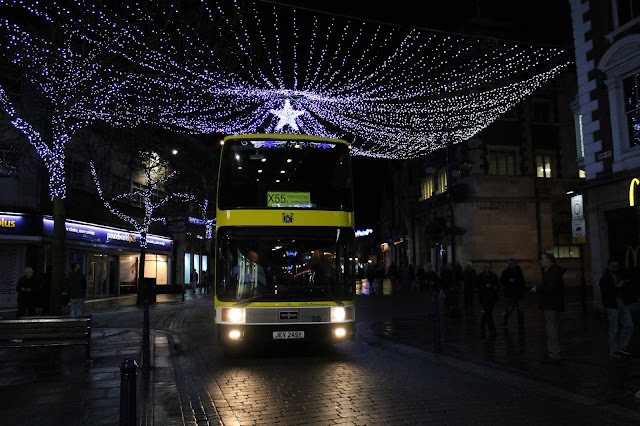 The National Concession Transport Scheme (NCTS) was introduced in April 2008, extending the provision of free bus travel within local authorities to allow travel throughout England. Prior to that, local authorities had various schemes. 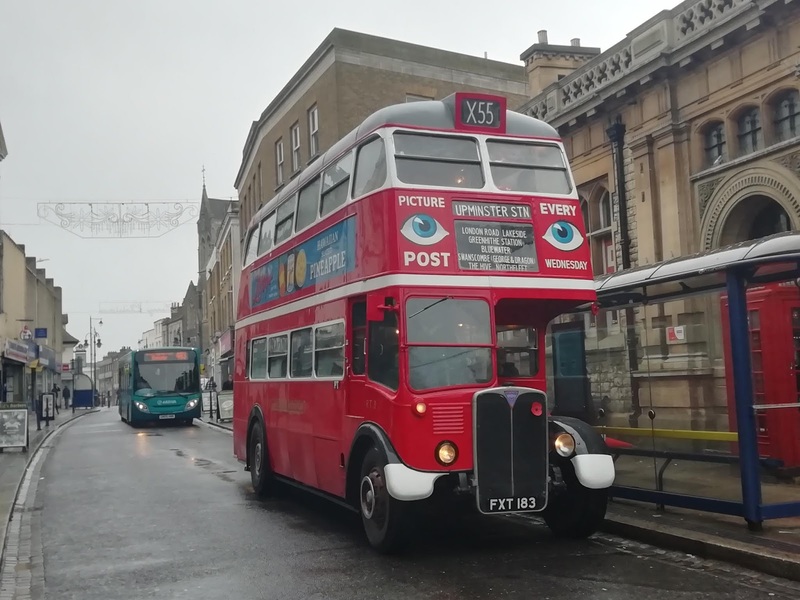 I remember Kent issuing half fare passes which cost an annual fee - one fee applied after 0900, and if you wanted to travel before that our pass would cost more. I'm told Suffolk and Norfolk had similar schemes. 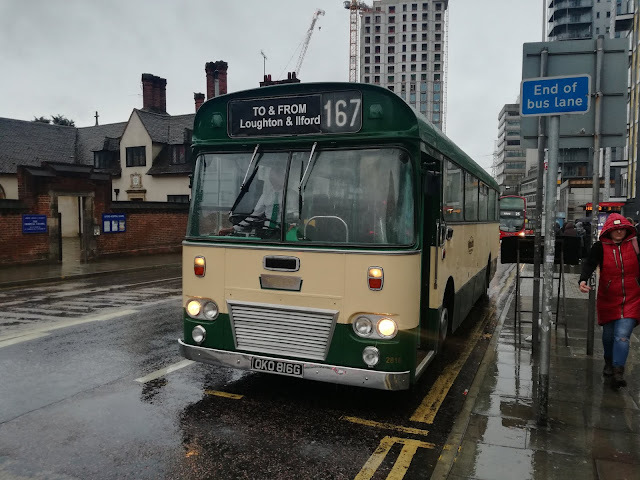 What I don't know well enough to discuss is how the bus operators were compensated, if at all, as the data gathering technology we have today just wasn't there in those days. It is worth noting at this time that London has different rules. 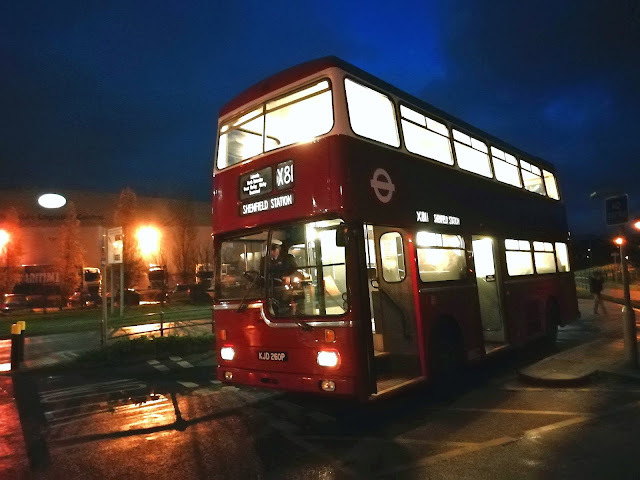 The London Freedom Pass has been around for many years, and is covered by the GLA Act 1999. The first point that immediately comes to mind is that the word "National" in NCTS is entirely misleading. Yes, the 2007 Act dictates basic requirements of the Travel Concession Authorities (TCA'S, or Councils to us), ie that free bus travel is to be provided between the hours of 0930 - 2300 Monday - Friday, and at anytime weekends, and that there should be no charge for the passes, but then the Act turns into a free for all, no pun intended, by allowing each TCA to offer additional benefits, eg free travel for the disabled before 0930, or reduced fares pre 0930. This has led to utter confusion, particularly for the disabled, as to where you can use your pass and when, particularly before 0930. As part of my research for this post I looked for a guide as to which TCA permits what and when, but to no avail. 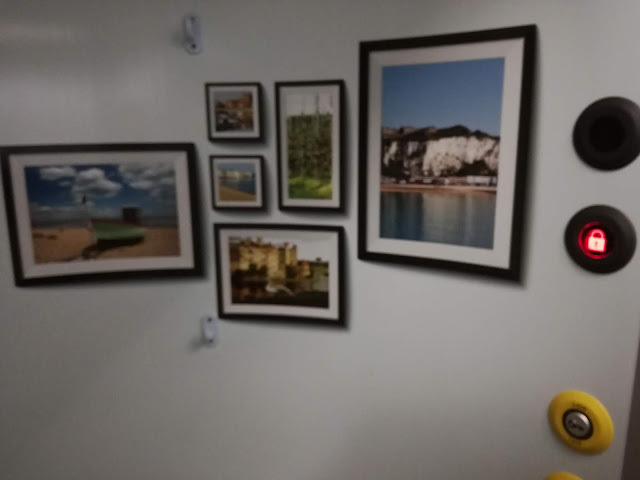 It seems you have to search authority by authority, which is a minefield of confusing websites, which considering the passes are for the elderly and disabled makes little sense. 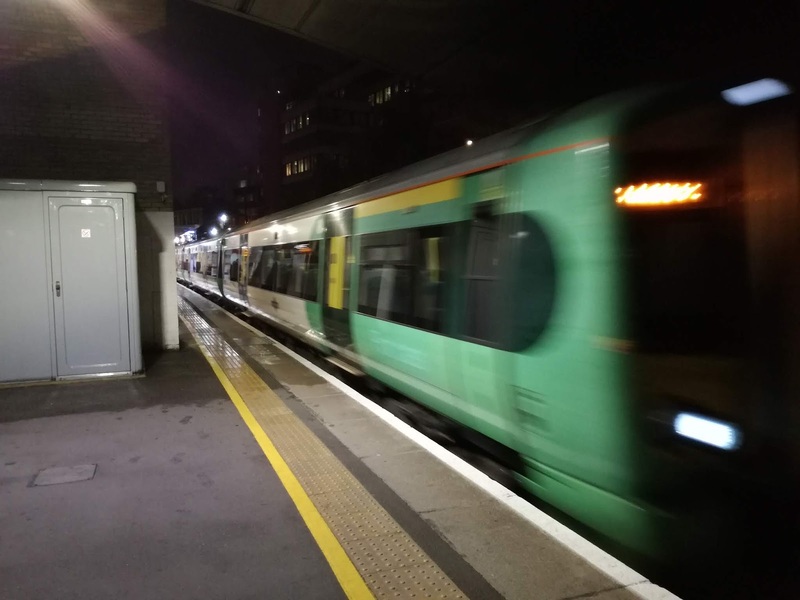 Some offer free travel for the disabled before 0930, others don't, and Surrey County Council are proposing to cut their funding for pre 0930 travel next year, which is what triggered the debate and this post. I imagine others will follow, despite the Chancellor's assertion in his Budget that "austerity was at an end". This announcement by SCC has caused outrage and consternation among the disabled folk of Surrey, but are they right to be outraged? Let's explore why the passes were introduced in the first place. As I have already stated, prior to 2008 there were no free passes for anyone outside of London. If you were elderly or disabled you got half fare, if you were lucky, and had to pay an annual fee for your pass. NCTS was created to get those people out of their homes more often. It wasn't to make it cheaper for people to get to work, or even hospital. It was designed for leisure travel, to get bums on off peak seats, to hopefully give the bus industry a lifeline by subsidising passengers instead of routes, to encourage operators to use initiative to boost passenger numbers instead of relying on route subsidy. Sadly, in 2010 that all changed with a new regime and austerity. Reimbursement fell, routes were culled anyway, and those very people the passes were created for lost the services they used them on. I have been in regular contact with the Association of British Commuters since May of this year, when the debacle of the May 20th rail timetable happened. They know that I champion disabled travel and access. I clearly remember one bus manager's face, who having proudly shown me around one of his new buses, complete with USB chargers, went pale when I asked him where the charging point was for the wheelchair bay. I am for disability equality in all forms, but sometimes with equality comes some things we don't like. Why shouldn't disabled people pay like everyone else before 0930? That would be true equality wouldn't it? Arguments include that just existing as a disabled person costs more. That's why benefits such as Disability Living Allowance etc exist, which the able bodied don't receive. It also only seems to be those in wheelchairs complaining, I've heard nothing from the blind, deaf, or those with invisible disabilities. The entire bus fleet of the UK has been altered in the last 20 years to rightfully accommodate wheelchairs. So why shouldn't the occupants pay their way before 0930? Everyone else has to, and I'd much rather see the money spent on that used to subsidise the services they are using the passes on. 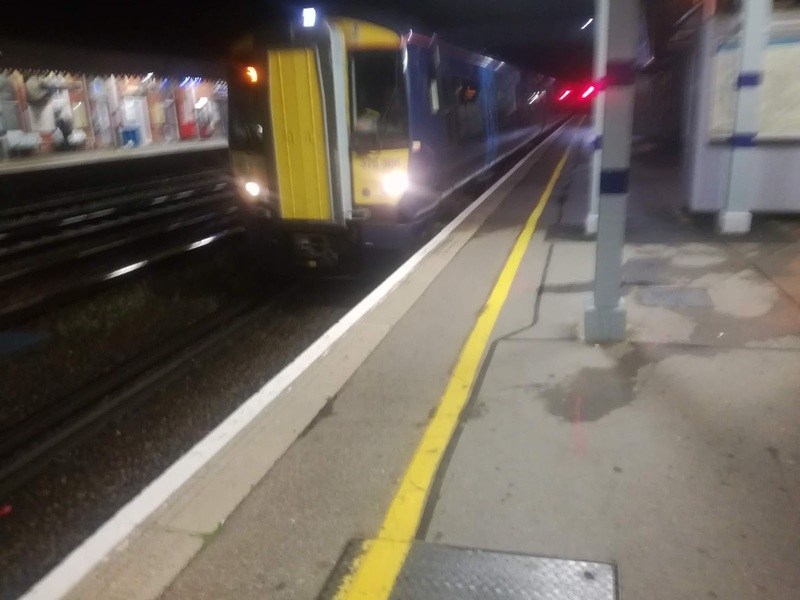 No, I'm not having a go at wheelchair users, Lord knows they have it tough, especially on the railways, but if they are on a bus before 0930, with everyone else then they should pay something, like everyone else - me included. Equality is equality, not just when it suits you. Another argument I've heard is that hospital patients currently using their pass for free will switch to more expensive to provide free hospital transport. I am well aware that if you are on certain benefits you get fares to and from hospital refunded, so no excuse there, I'm afraid. Speaking of the railways a disabled Railcard costs £20 a year, and although there are time limits you only get a third off, and fares are higher before 0930, especially if travelling locally ,when you can't book in advance. Of course, and I know what you're thinking, I've avoided the big issue, which is the cut in funding for the scheme. 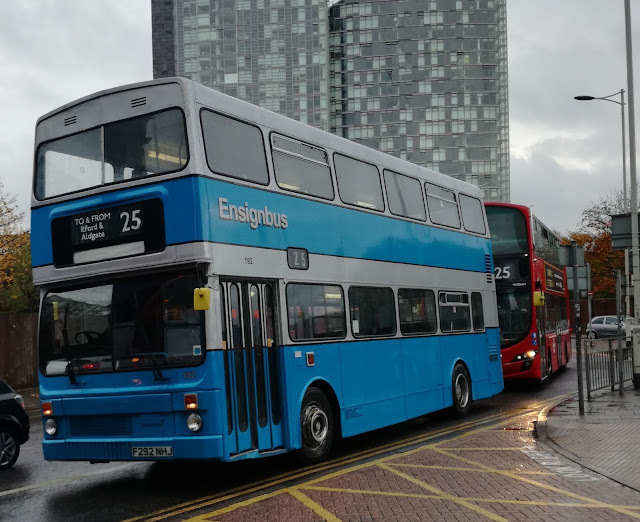 Since 2010 some 3,500 bus routes have been lost, and the amount of reimbursement for operators, who are legally obliged to accept the pass, has been slashed. The pass was introduced by a Labour Government in 2008, and severely affected by the austerity policies of the Conservative Government in 2010. One gave, the other snatched away, but because the Bus Pass was set in legislation they couldn't abandon the scheme. It's even more entrenched in Law now, the irony being there are now far fewer buses to use them on. Looking at forthcoming Council budgets that trend will continue - Suffolk CC are even thinking of doing away with timetables at bus stops. Won't be that long before they're not needed anyway at this rate. 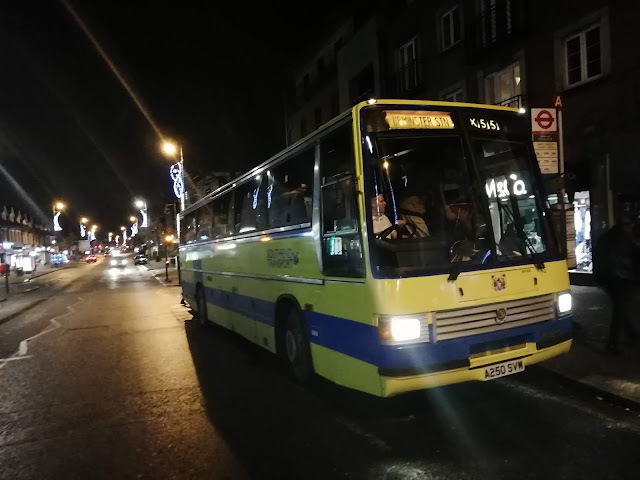 One local firm has worked with the community, and told them outright it couldn't afford to keep a route going if everyone used their passes all the time. That route has survived due to pass holders voluntarily paying a fare once or twice a week. It shouldn't have to be that way but it is. More operators should try working with the communities they serve, to encourage the community to help save their bus service. Wouldn't work everywhere, but you can't use a pass on a bus that doesn't run. 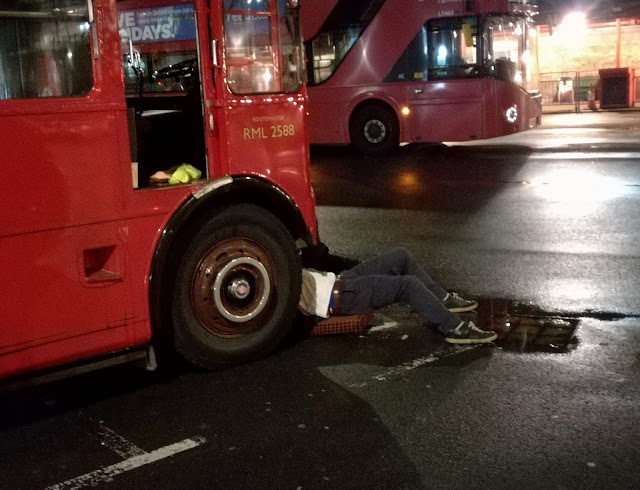 So now I've upset wheelchair users, Conservative supporters, operators and just about anyone else connected with transport what are the solutions? How would I sort this mess out? The first mistake the Labour Government made (got the matching pair now) was to make the free pass, erm, free. No one realised that people would do what they wanted and go out more. The more they travelled the more the Councils had to stump up in reimbursement, and it seems the maths was done on the current loading figures of the day, not projected ones. No wonder the next Government took a deep breath and said they couldn't afford to keep the funding at that level. So, charge for the pass. 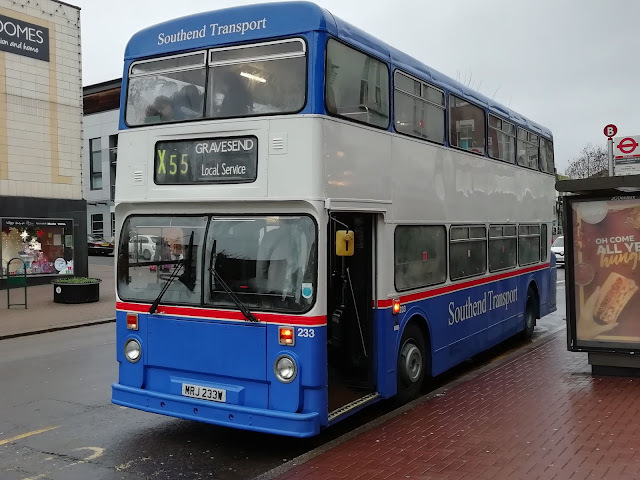 If a Disabled Railcard costs £20 a year and you only get a third off, then charge £30 a year for a buss pass giving you free travel, and legislate that the money is used on bus subsidies. No pass holder I have ever asked has indicated they would object. Except a leading wheelchair disability activist last week, who went very quiet when I asked him if he would pay an annual fee to use his pass before 0930... There are over 12 million pensioners in the UK. If all of them paid £30 for a bus pass that would mean £360m extra for bus services. Per year. If that figure was announced tomorrow we would all be celebrating. Then you'd have the income from disabled passes on top. If more routes were subsidised more buses would operate, meaning more people would once again get out more often. More bus routes means more income for operators and more custom for the local economy. 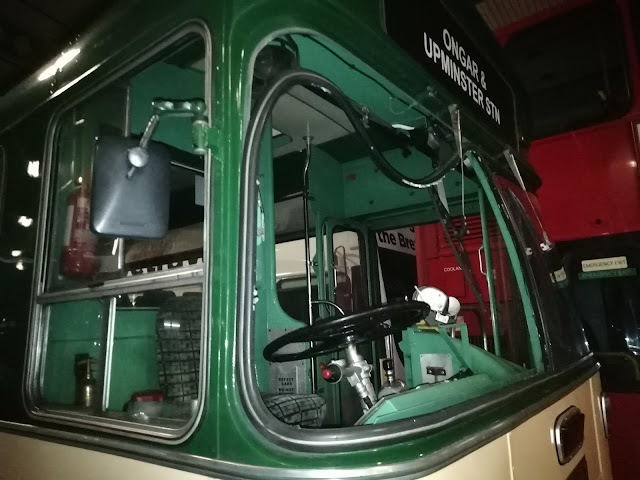 But at the same time operators need to work with communities so buses are run at the time people want them - there must be drivers of a certain vintage reading this who remember the busiest buses in the evenings were when the bingo halls emptied. You won't make much from two pass holders on a service, but you will if there are 20. Won't be as much as 20 fare payers, but more than 20 empty seats. Secondly there simply must be an end to the postcode lottery. 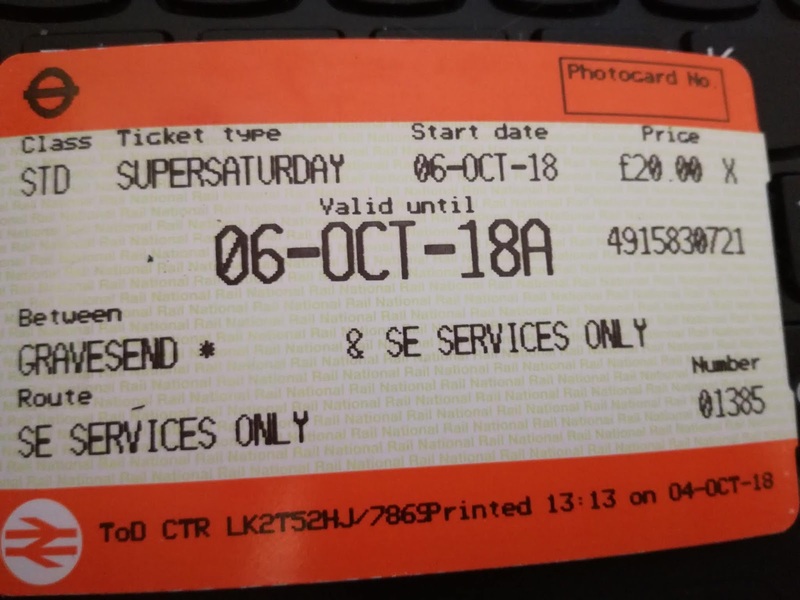 There needs to be a National standard, and if anyone wants to use their pass before 0930 then they pay more for it, like they used to in Kent. It needs to be emphasised that the pass is to encourage leisure travel, and is not for commuting. Information needs to clearer and Councils need to stop assuming that all elderly and disabled passengers not only have access to, but are also competent on the internet. Community groups and charities, such as Age UK need to be brought on board as consultants, so the potential for the Concessionary Pass can be fulfilled. Finally, and here we board the bus with the destination "Cloud Cuckoo Land", the Government, Councils, Operators, passenger groups and yes, the passengers themselves need to work together (stop laughing) to ensure that services are provided to those who need them regardless of their post code. If the infrastructure is put in place, and is marketed, promoted, and encouraged well enough it will be used. But you won't get the elderly finding out about bus services in a quiet corner of the internet. Why isn't the local bus timetable printed in Parish Magazines, for example. 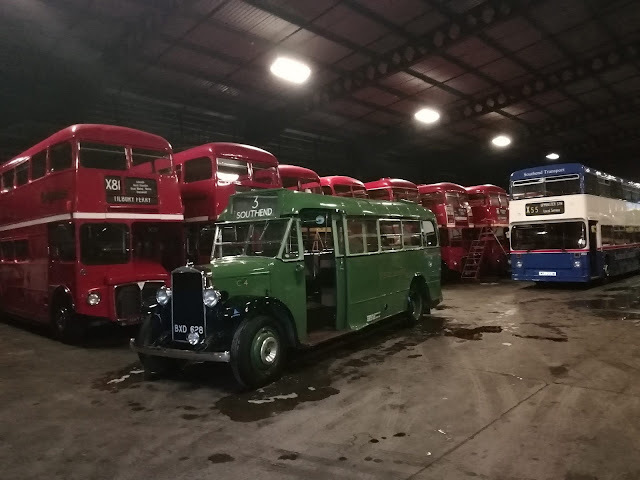 Everyone needs to muck in, be honest (I warned you), and together we might, just might save the bus industry outside major towns and cities. That will benefit everyone, regardless of how they get on and off the bus. 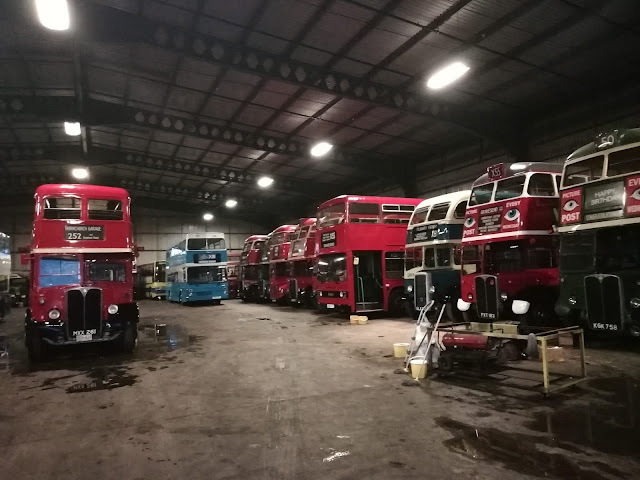 It's ironic that in years to come, the people making the cuts today, destroying the fabric of the bus network, will be the ones complaining there's no buses. 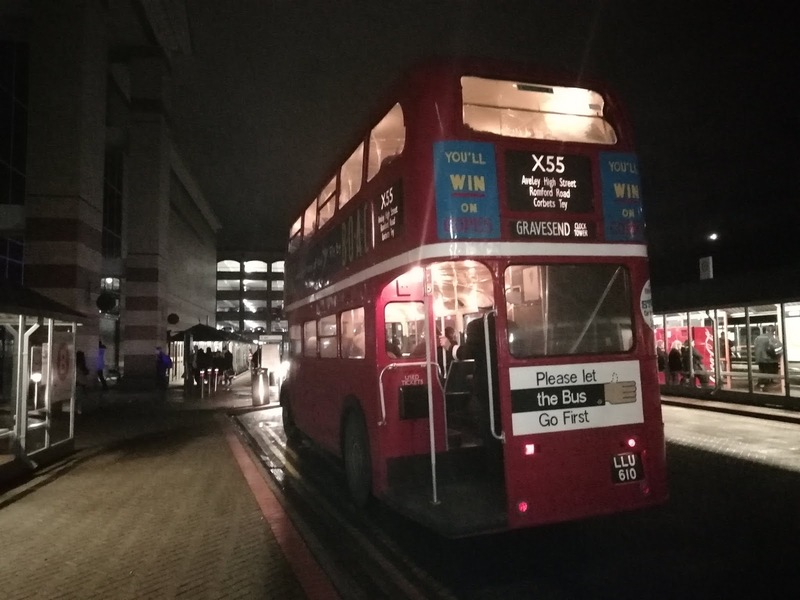 The Concessionary Bus Pass was, and still is a great idea, but right now its framework and financing is not what was intended. Until that is returned passengers will continue to lose services, operators money, and everyone will lose when everyone, so easily, could win. I am one of those people who much prefer going to bed at 3am rather than getting up at 3am. Always have been. I did permanent late shifts on the buses, have done night work, and to get up at 3am either requires illness, a call of nature, an emergency, or a lot of cash. However, on Wednesday I was out of bed at 3am like a five year old on Christmas morning. There was a strike on the Central Line and lots of toys were coming out to play. Transport for London were puting on 100 extra buses to supplement existing services to cope with the demand, and my friends at Ensignbus were responsible for a lot of it. 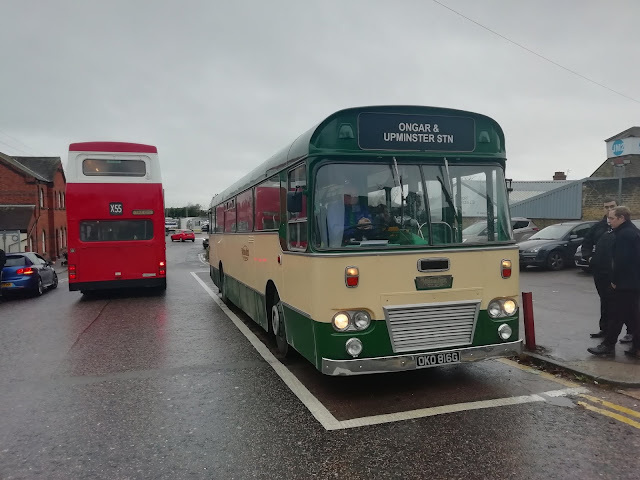 I had, by chance, met with Ross Newman, one of Ensign's Directors last week, and he had informed me that Seaford |& District, from Lewes were supplying 3 buses from their heritage fleet, one of which was former Maidstone & District Leyland Leopard 2816, OKO 816G. You may remember it featured as my header picture back in April. I have many personal memories associated with that bus, including one in August 1983 I'll never forget. So the chance to ride it again was a fair few of my increasing number of birthdays put together. Not only that, but Ross arranged for me to meet up with the Seaford crew at Ensign's yard, to be on the "light" run from there to Loughton, Essex, where the Leopard would operate the 167 to Ilford. 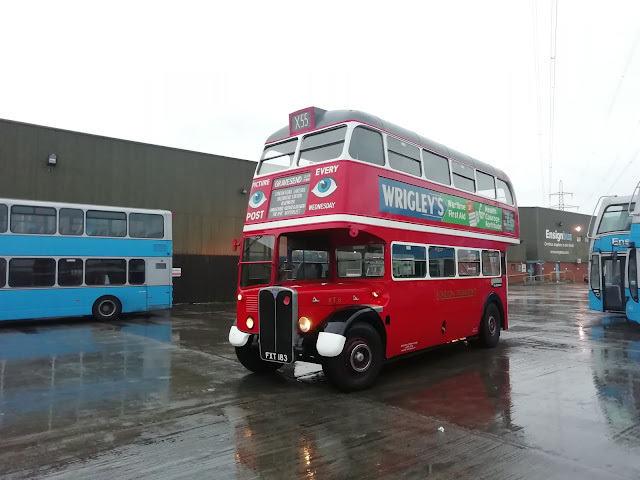 So on a wet and windy 5am I was at Purfleet, met Paul Green, the nice, cheery and not to mention lucky chap driving 816, and suddenly lost 35 years! The Leopard is in superb condition. 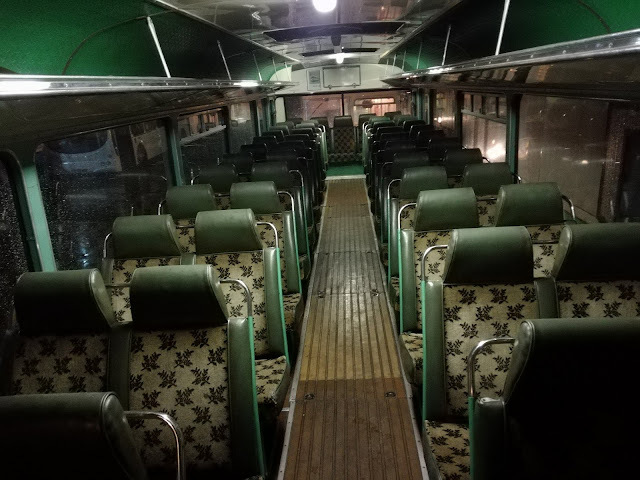 Original seats, still got the splitter gearbox, and looks and sounds just as I remembered. A time machine if ever there was one. 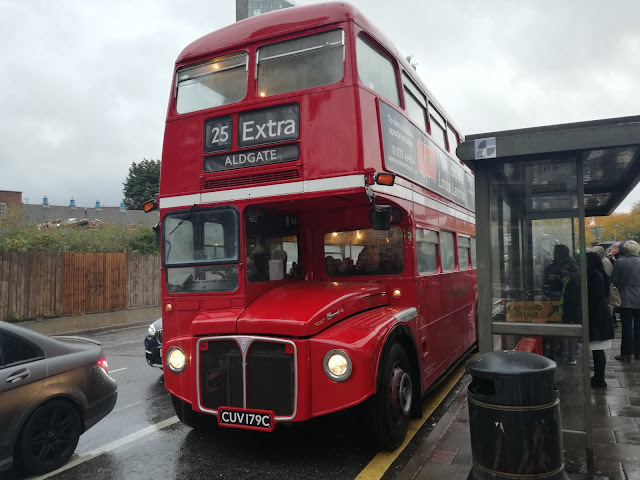 The journey to Loughton Station, which we found more by chance than design, took over half hour, and I cannot describe just how nostalgic it was. Just one problem no one knew the 167 route, including the extra bus behind us. So it was decided to follow the regular 167, a mid length E200, in convoy. A wise decision as it turned out, as by the time we reached Gants Hill all three buses had a full load. It was then the tone for the day was set. 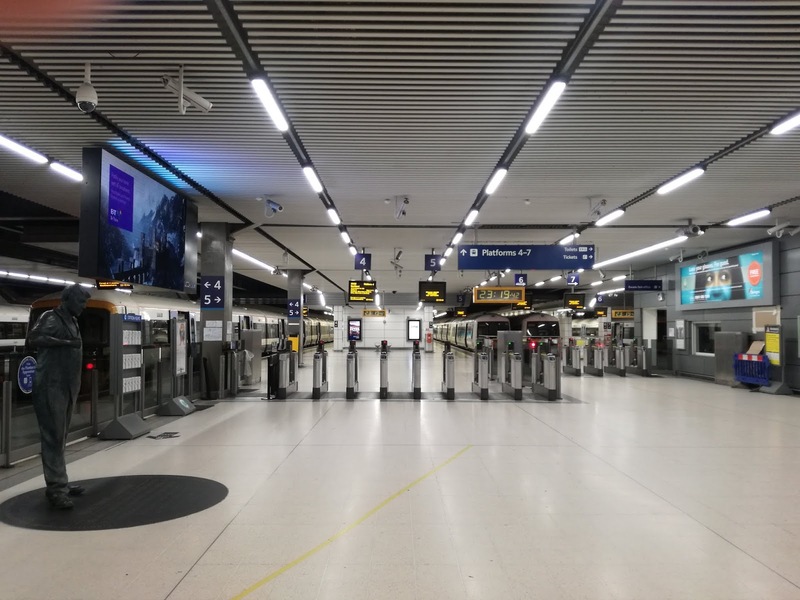 Despite the inconvenience of a tube strike the majority of passengers looked rather happy, and many passed positive comment. I told Paul to note that he was being thanked by people who would normally not even consider thanking a bus driver. All to soon, although I'd been with the Leopard for around two and a half hours, we reached Ilford and I said my farewells as I was transferring to the 25's. I hope it's not another 35 years before I ride 2816 again as those steps that I didn't notice when I was 17, but did on Wednesday, might just be beyond me! 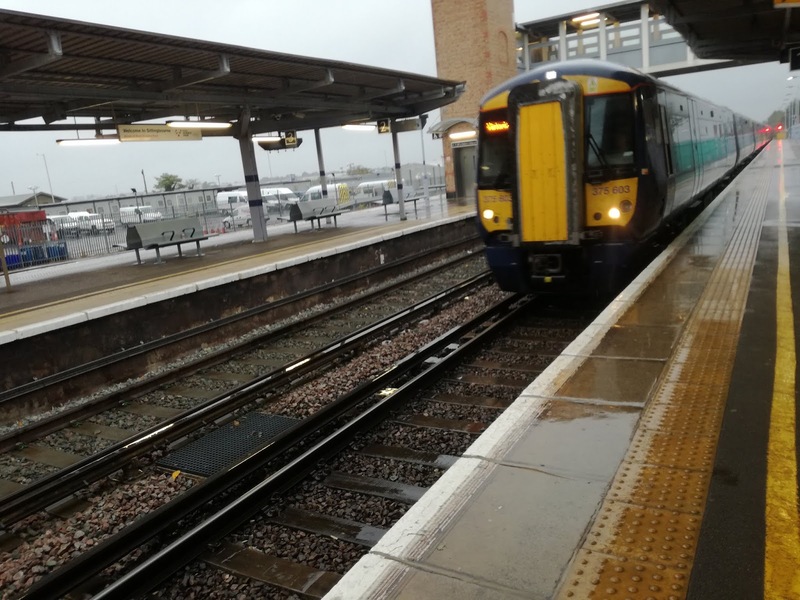 The weather at Ilford wasn't pleasant, but I knew before long something interesting would turn up. A few minutes later and RM2179 did. Sadly, though it was already full up. 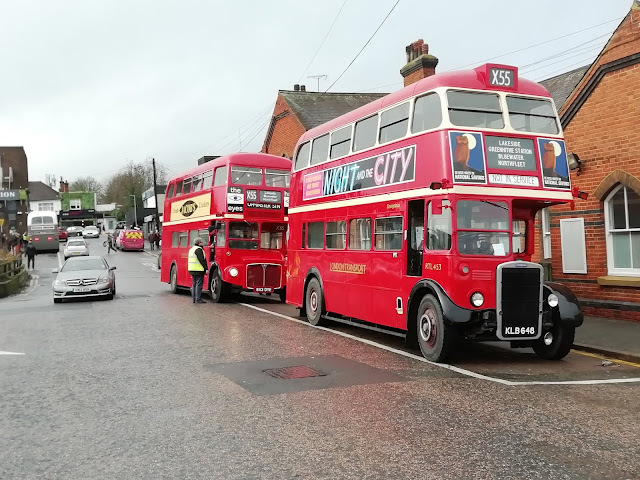 I was just about to start walking to the next stop back when two regular 25's turned up, followed by Ensign's 1988 Metrobus, which I had yet to travel on. It was virtually empty so thank you very much, front seat upstairs and Aldgate here I come! It's been a long time since I was on a Metrobus, so long I can't remember the last time, and again a lovely rattle free ride. 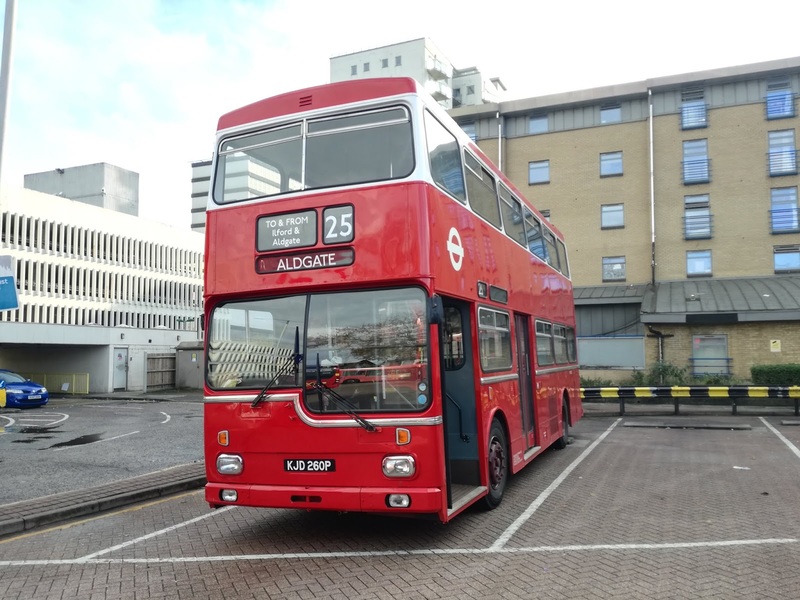 The bus terminated a bit before Aldgate Bus Station, but that was good, as I got to check out something a bit quirky. 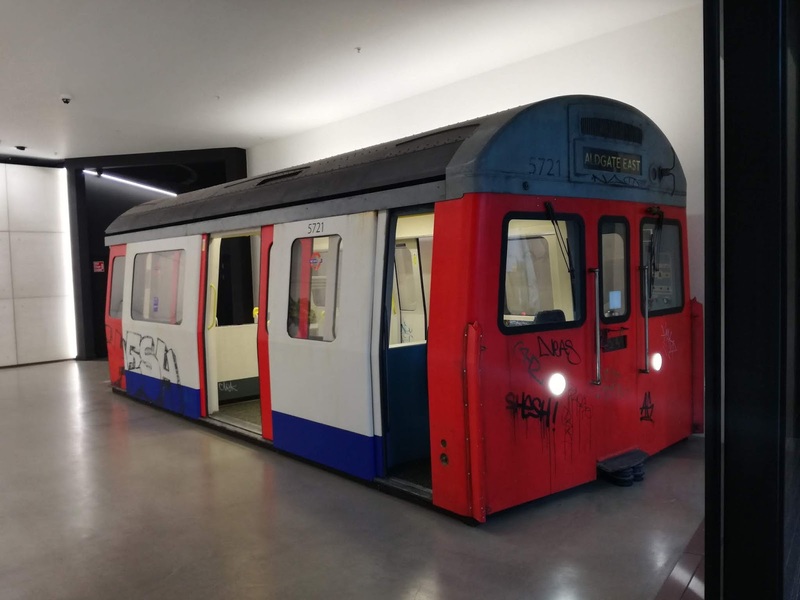 Last time I was up there I saw what looked to be a shell of a C Stock Underground train in the foyer of an office building next to Aldgate East Station, but couldn't tell if it was the genuine article or not. It is. Quite why it's there or how it got there is a mystery, but it is the real thing, minus everything underneath, but with genuine graffiti! 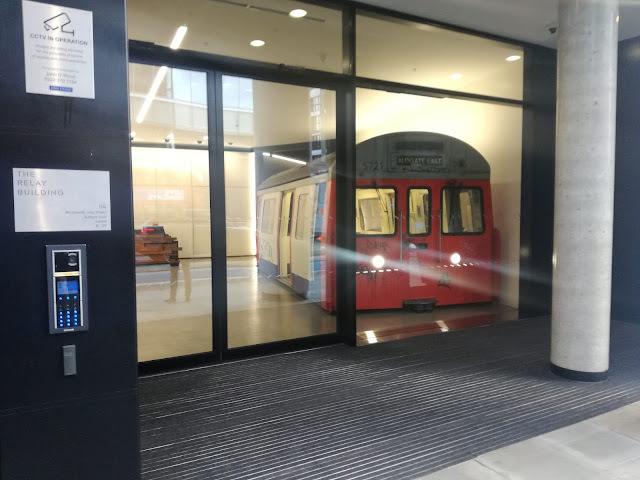 Worth a look if you're ever passing Aldgate East. 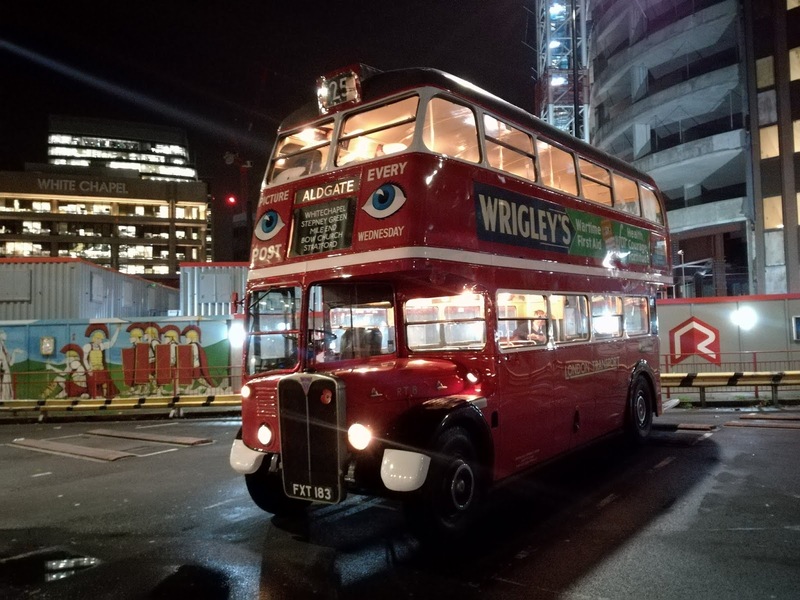 At Aldgate Bus Station there was a sight to behold. 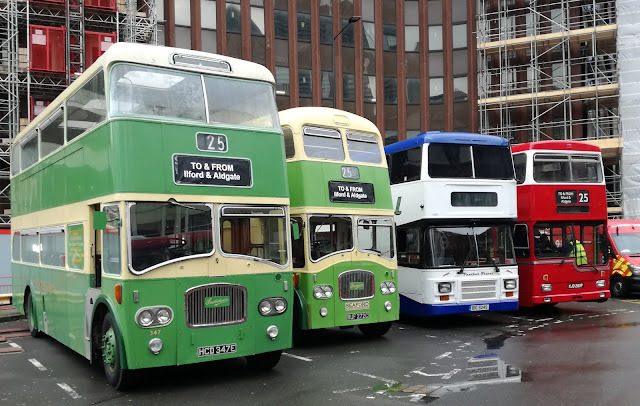 Two Seaford & District ex Southdown Queen Marys, an Olympian coach from Panther, and a certain Metropolitan Scania I may have mentioned once or twice in the last year. 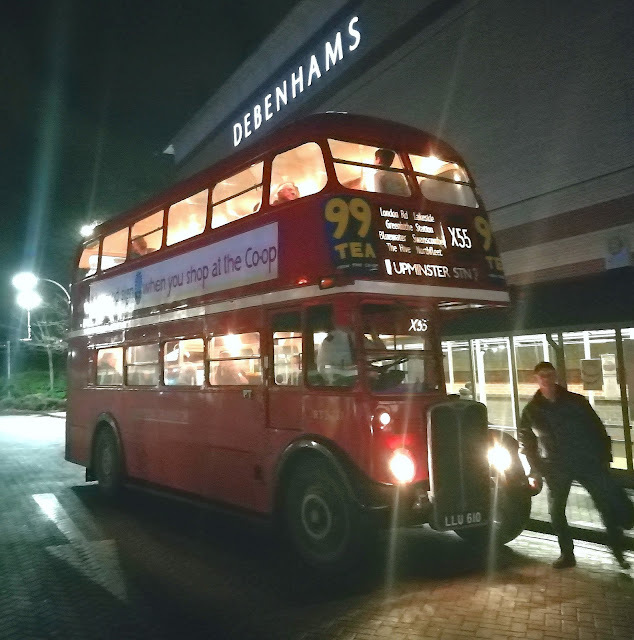 Not only that but the MD was the next bus back to Ilford. No, really? What were the chances! I genuinely hadn't planned to ride MD60 but when it basically lands in your lap it's rude to say no. My word did she sound good back on her old patch. Great to catch up with (another) Paul, her head keeper too. This day was starting to excel itself! 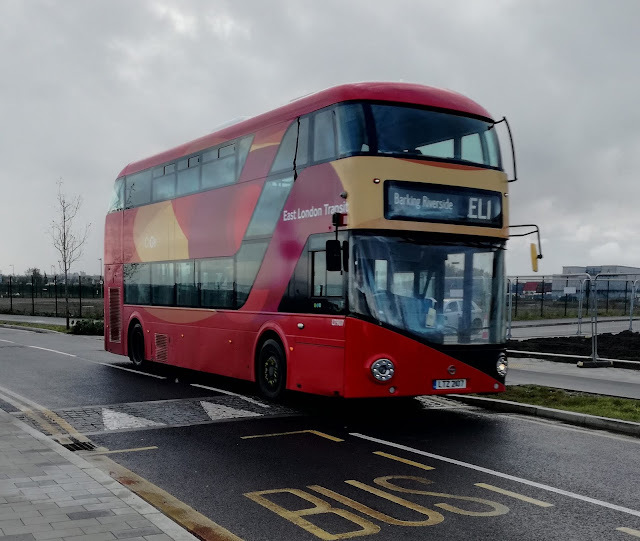 I took a break from the heritage scene, and checked out the EL1 to Barkingside operated by East London Transit (Go Ahead) using one of the last batches of Borismasters built. Sadly the traffic prohibited me seeing them at their full potential, but no ride on a Boris is a bad one, and I quite like the livery they are in too. The traffic was getting really heavy by now so I made the decision to get back to the 25's at Stratford, which meant switching modes and getting the train. 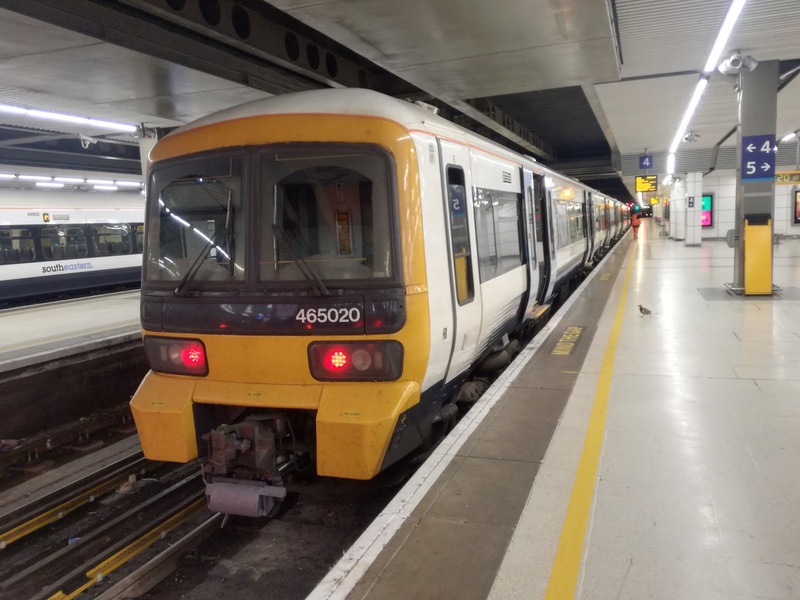 This enabled me to get my first ride on a Class 345 Crossrail train. Amazing acceleration, pleasant interior, good info screens, a nice voice doing the auto announcement but seats with slightly less padding than a brick. 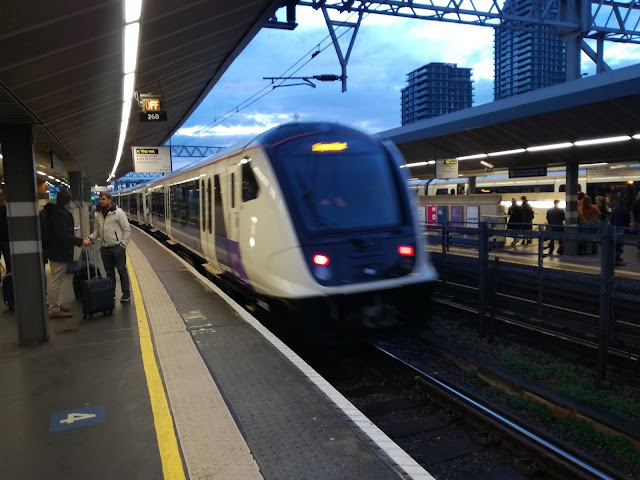 I have to ask if the new District and Metropolitan Line trains can have comfortable seats, and they are, then why not the Elizabeth Line? Surely they are all covered by the same regulations? Answers on an email please! 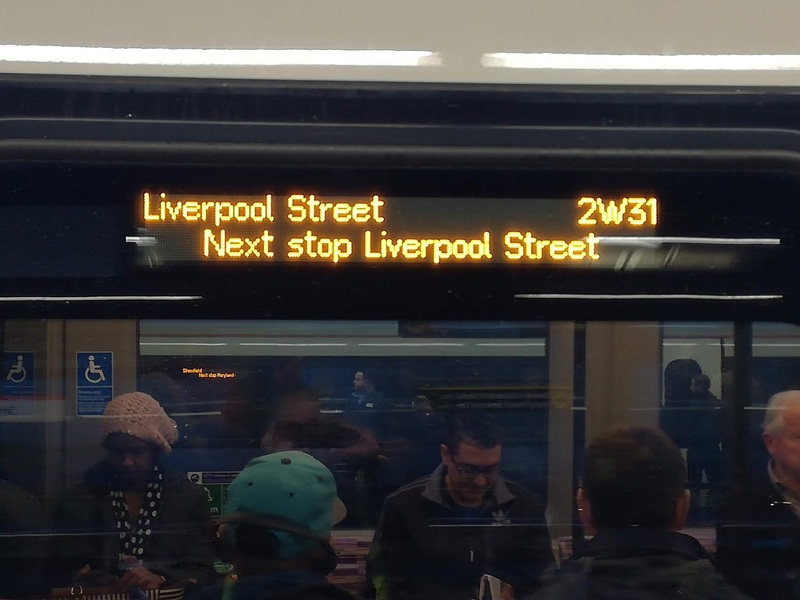 One little touch anoraks like me will like is the journey ID number displayed on the destination screens. Nice. So back at Stratford, and a spot of guesswork required. I knew Ross Newman was out in RT8 somewhere, but had no idea which direction he was heading. I guessed wrong, so an interesting gallop along Stratford High Rd was witnessed as I legged it after him, jumped on board, and came face to face with Peter Newman, founder and Big Chief at Ensign, who was doing the conducting! 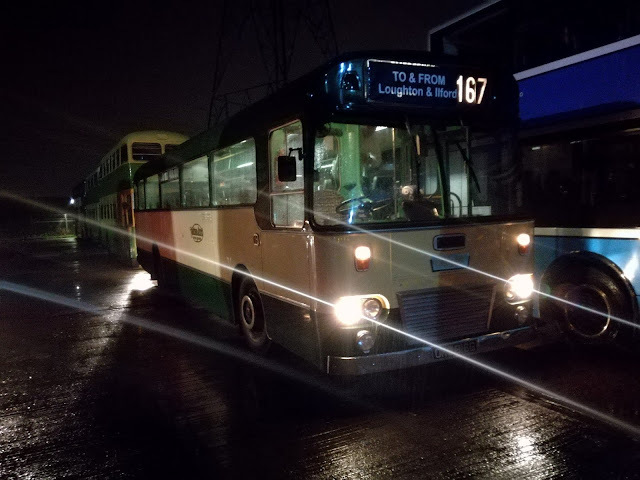 That was totally unexpected, but a real pleasure, as Peter is one of those bus people who enjoys what he does so much it's infectious, and being a clippie again was clearly very enjoyable. Not only that but RT8 has a PA system, which Peter was using to inform passengers about the history of the bus, why it was out, that his son was driving, and that it was all free. Quality. At Aldgate Driver Newman turned into Fitter Newman, and got under a Routemaster whose starter motor had failed. Using the Jeremy Clarkson "I've got a hammer" method, he only went and got it going! This is top management getting out, getting dirty and mixing with it at the sharp end. I can think of a few managers who would struggle to find a starter motor, let alone fix it. That, in a nutshell, is why Ensignbus are one of the leading operators in the country, and why their staff always seem to be happy. Every person is important there, and everyone mucks in. It was a long journey back to Ilford, but thanks to Peter it didn't feel it. I mentioned earlier that passengers who would normally stay in their bubble came out of it. 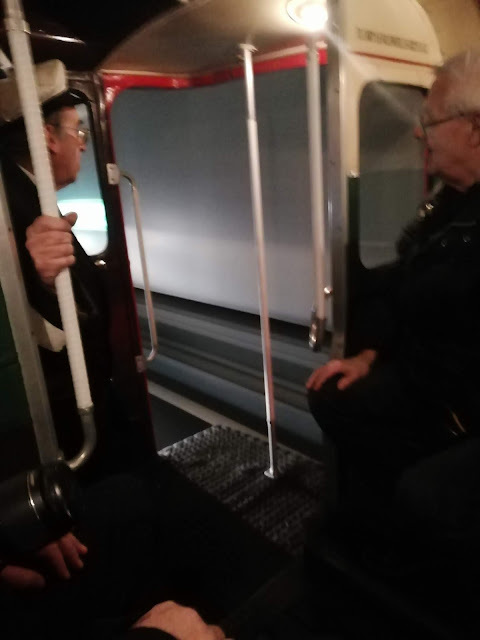 It's a fairly non English part of the world there, yet people of all races and creeds were getting on, smiling, laughing, asking questions, chatting amongst themselves and thoroughly enjoying being on a 79yo bus. I've never seen anything quite like it, and for me it made the day. Some of these folks were hours late getting home. Some, not used to step entry buses were having trouble with them but were still smiling. 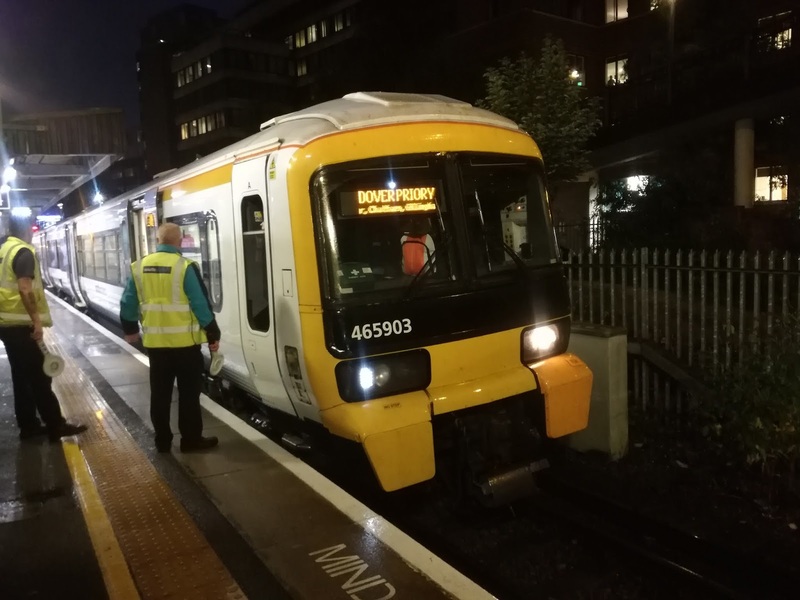 Some tried to scan Oyster cards on ticket machine holders! I had face ache as I just didn't stop smiling the 4 hours l was I was on it. 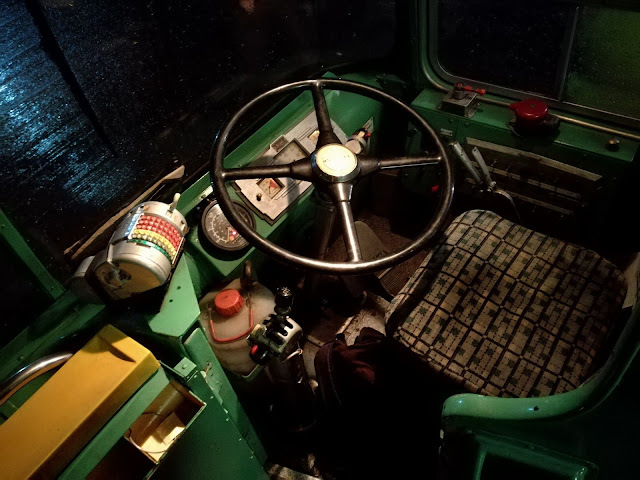 I'll dedicate a separate post on RT8 in the near future as it warrants it, an amazing machine crewed by 2 amazing guys, and that was before Ross transported us to one of those speeded up 1940's news reels on the way back to the depot. Heck that bus can shift! I owe a lot of people a lot of thanks. To David Mulpeter and Paul Green at Seaford & District for allowing me to travel on 2816 and rekindle memories very close to me. To all the Ensign staff and drivers, especially Paul, who always make me feel so welcome, but especially to Ross and Peter Newman. Thank you, you made a good day a special day for me, and put a silver lining on a grotty day for a lot of passengers. I struck it lucky, the passengers struck it lucky. Roll on the next Tube strike! !